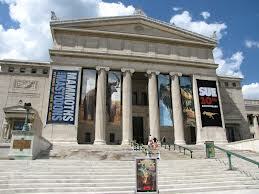 The United States has more than 17,000 museums, we can only guess at the world's total. While most people think of a museum as a well-staffed, professionally run institution, the vast majority of museums are started and run by people with little or no basic training in museum studies or preservation. Introduction to Museums is designed to change that. The course introduces basic concepts, terminology and the role of various staff members, including curators, registrars and directors. Introduction to Museums is aimed at staff members, board members, interns, volunteers, as well as anyone interested in becoming a museum professional or learning more about the profession. Week 2. What is a Museum? Required Resources: Alexander, Edward P., and Mary Alexander. 2008. Museums in Motion. An Introduction to the History and Functions of Museums. Second edition. Alta Mira Press, xii +352 pages.